Delhi is a melting pot of cultures from all over. It is no wonder, then, that the capital is home to eateries old and new, dishing out some of the best regional cuisine thalis around. Here is a look at the more interesting ones. The Parampara Thali is most sought after and features classics like pitika, made out of mashed potatoes seasoned with onions and coriander leaves, and kharisa (grated bamboo shoot fermented in mustard oil and red chilli brine). Mains include Fish Tenga, a tangy rohu fish curry with lemon juice and vegetables, and Chicken with Bhut Jolokia. Managed by Jakoi, a restaurant chain in Assam, there is both a set menu and a la carte options. 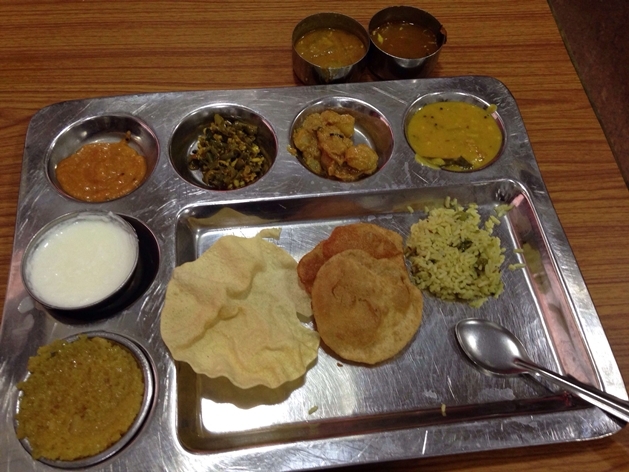 The thali includes the famous Andhra gongurra chutney, podi and ghee as accompaniments. Plus, there is, among others, lemon rice, papad and unlimited refills of rasam and sambar, rice and curd. The mains menu (unlimited) changes every day and includes a portion of pulses, one curry, one dry mixed-vegetable preparation. Dessert is a fixed serving of sooji halwa or kheer. If you think Rajasthani food is all about Baati Churma and Bajra Rotis, the Rajasthani at Rajasthan Food Stall will prove you wrong. The plate comes loaded with the Missi Roti, which gets its inimitable flavour from besam (gram flour) and a Bajra Roti to go with the Dal Besan, and Gutta – chickpea flour balls that are boiled and simmered in a tangy yogurt-based gravy. With rice, papad, raita and other accompaniments, this thali is a great way to begin your love-affair with the wonders of Rajasthani food. Kitschy interiors reminiscent of typical Parsi-Irani décor, SodaBottleOpenerWala has an eclectic menu that is sure to please anyone with a taste for Parsi or Iranian food. For the uninitiated, there are special Combo Meals that are a great place to start. The meal combos feature a main and a side-dish in different permutations and are changed once every four to five months. 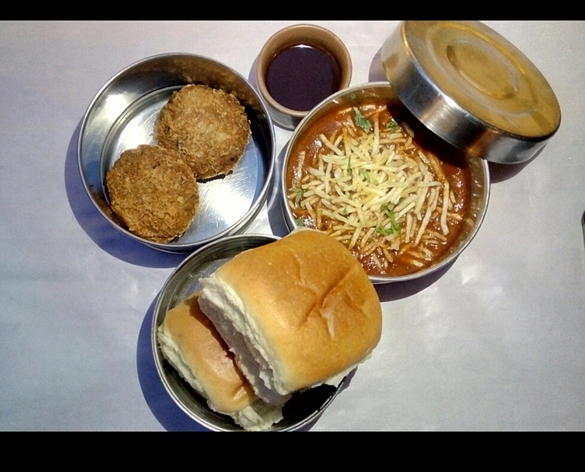 According to Mohit Balachandran, Head of Operations, SodaBottleOpenerWala, The Sali Mutton , Aloo Aunty’s Vegetable Cutlet, 2 Pav combo is the most popular from the section. “It is a Parsi style mutton curry topped with crispy fried potato chips (sali) and served with a side of mildly spiced veg cutlet,” says Balachandran. When Puja Sahu and Vivita Relan first opened Potbelly Rooftop Cafe, the idea was simple – to provide an experience that goes past the rampant stereotypes. The recipes are from Sahu’s mother’s kitchen and the food, simple, wholesome and authentic. 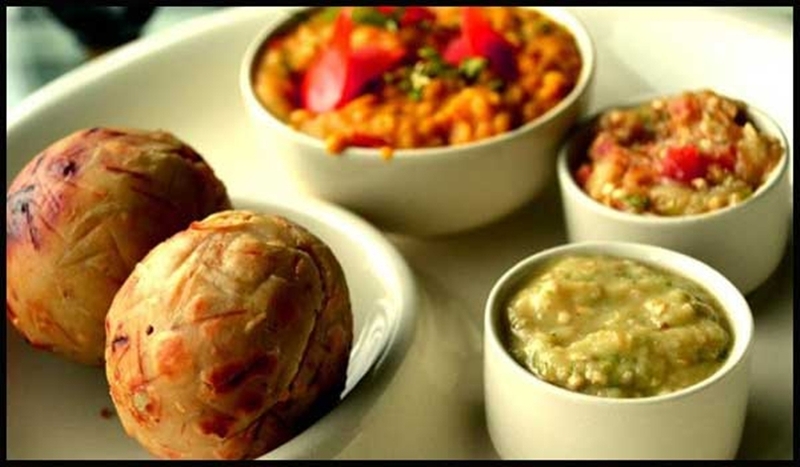 The menu features a range of regional starters and other dishes, but the Litti Chokha remains a crowd favourite. Peanuts and eggs to prevent allergies in infants?